dabbled in entrepreneurship in her late teens, buying brand name items from second hand clothing stores and selling them for a profit on eBay. 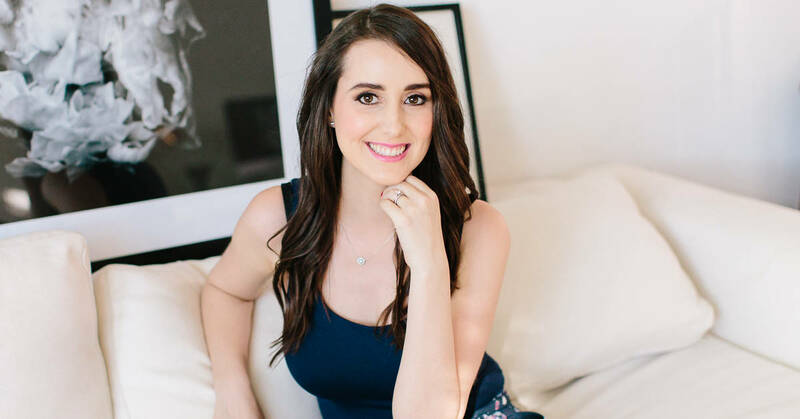 Blogging is what kick-started Jessica’s online career, which led her down a path to e-commerce, and then what she does today – online coaching. Jessica had a well paid job, a wonderful fiancé, and a great apartment in the beautiful city of Sydney… but something was still missing! Even with all the boxes ticked, there was some kind of empty feeling inside that just wouldn’t go away. This was what drove her to begin blogging. In 2011, Jessica began an experimental blog about healthy eating and healthy living. Shortly after, she looked online to find information on how to build a successful blog and found my Blog Mastermind course. After an evening of procrastination and asking the universe for a sign – Jessica got “the sign” (in the form of an email from me in her inbox the next morning) and joined . She began blogging about healthy eating and living, and her first blog was called Live Healthy Simply. Jessica worked hard to produce top quality content from the start, blogging five days a week for two years. At the height of her health and wellness blog’s success, Jessica was getting 1,500 views a day. After her first year blogging, Jessica began selling affiliate products like Sarah Wilson’s and running some sponsored posts and creating some of her own digital products. 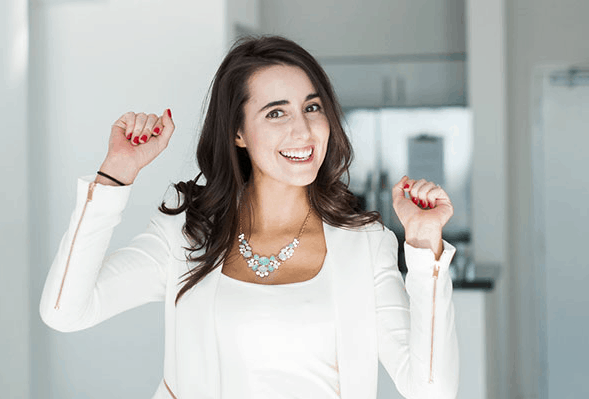 These various income streams made Jessica around $1,000 per month, which is about when people began approaching her for one-on-one wellness coaching. Jessica completed a course in health coaching and worked with a couple of clients only to realize it wasn’t something she was passionate about. Another nudge from the Universe came in the form of one of her blog readers contacting Jessica and asking her if she would help her set up her website and blog. Having already created and run her own successful blog, Jessica knew she certainly had the skills to help others do it. After working with her first coaching client for online business, Jessica felt really inspired and excited about helping more people do this. Within a week, another woman contacted her for help with her online business and that was all the confirmation Jessica needed to start business coaching. Jessica launched a one-on-one coaching program that she sold for $600 and had 20 clients sign up in the first week. From there Jessica created three month and six month coaching programs charging $1,000 per month. Jessica was finally able to quite her job in February 2014 to make the transition to being a full time online coach. By the end of 2014, she had made $140,000 from her coaching programs and affiliate marketing. In December 2014 she created her program and launched it on Christmas eve. The launch ran through all of January and was an extraordinary success, bringing in $110,000. Some of the key elements Jessica stated are responsible for her success are that she was consistent in blogging regularly and building strong relationships with her email subscribers. 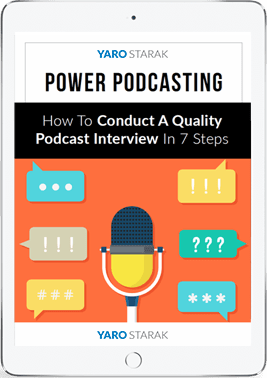 She also does as least one webinar a month as well as connect regularly with her private Facebook group. Of course there is more to Jessica’s success than just that, so to hear the full story from start to finish, listen in to her interview. Enjoy the show, and please share it with any of your friends who may benefit from it. Inspirational, and really enjoyed listening it. Glad to see so many amazing things happening when women step into their own power. You definitely were an inspiration for my own business. Thank you for this! what a wonderful interview!! This was super inspiring and full of wonderful ideas. Great work to both of you. I really appreciated the transparency. Great interview guys – Jessica you looked for a sign to make a decision, and taking that leap of faith brought you a whole new life where you are in the driver’s seat – inspiring – congratulations, lots of great tips here. Yaro, your ongoing transparency, caring and integrity is really inspiring for me. You are honestly in the top 4 people I follow of over 60 that I trust implicitly and Jessica found exactly what she needed at the right time with the right mentor. Your two worlds were meant to collide at that point – I truly believe in that. Thanks again for bringing another fabulous interview on successful people. Very inspiring. I will be borrowing a few of her strategies for my own marketing. Great episode, Yaro and there were lots of value bombs! I do have online coaching, so it was very inspiring. Thanks for sharing your story Jessica! WOW this is a great interview. Thanks for all you do Yaro in getting this authority figures in the blogging, online marketing, and business coaching industry to come out and share their experiences, lifestyle, and journey towards a successful career! У нашей компании авторитетный сайт , он рассказывает про www.agroxy.com.